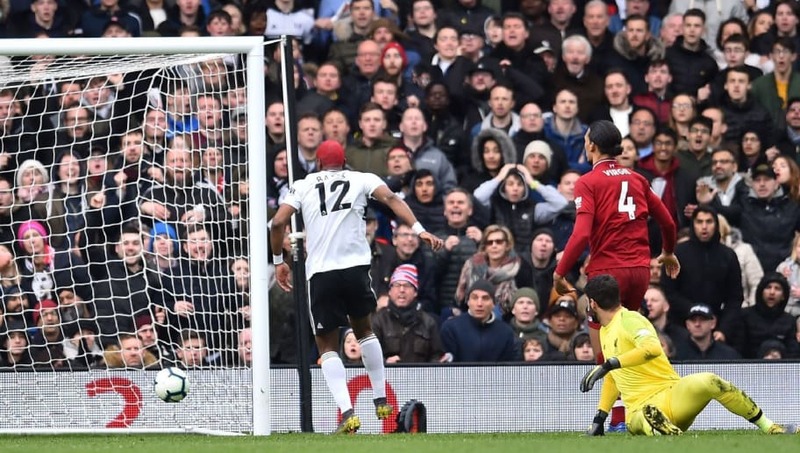 Former Everton attacking midfielder Tim Cahill has blamed Liverpool goalkeeper Alisson for his role in Fulham's goal in the Reds' 2-1 victory on Sunday. The Reds were leading 1-0 through Sadio Mane's opener when James Milner's hacked clearance forced Virgil van Dijk to head the ball back to his hesitant goalkeeper, with the lurking Ryan Babel pouncing to equalise against his former side. The Brazilian was too slow to react to the situation and was caught in no man's land when Babel stole away to draw his side level with only 15 minutes to play. Speaking to Sky Sports Premier League, Cahill feels Alisson was at fault for the goal and should have been more committed to claiming the loose ball. "It's blatant," the Australian told Sky Sports, as quoted by ​HITC. "I think the keeper has got to deal with it. He has got to pick the ball up. He [Van Dijk] has headed it back. He could've headed it harder or headed it right. "But it's clear that Alisson has got to grab that with both hands and look Babel in the face and say 'that's my ball'. Maybe take one in the face and maybe he didn't want to take that hit and it led to that [the goal]." When ​Fulham drew level,​ ​Liverpool may have felt they had thrown away two crucial points to go above Manchester City in the ​Premier League title race, but Milner converted coolly from the spot with less than ten minutes to play to save his side's blushes. Jurgen Klopp was incredibly muted for his standards when his side regained the lead, but he would have been mightily relieved that they managed to come out on top and go above City in the table. City have a game in hand after their involvement in the FA Cup, but Liverpool's two point advantage at the top will give them a psychological boost when the league returns after the international break.